Nose: Green apple. Light raisins. Tart raspberry. Pomegranate. Intriguing set of fruits on the nose – good tartness and nice, if light, complexity. Palate: Creamy! Nice texture. Tartness. Some dried citrus notes – remind me of The Dalmore. There’s a good bit of complexity on the tongue, where some malts just get washed out by the alcohol. Finish: Orange peel. Not bitter! On the short side. Some warm cereal sugars. 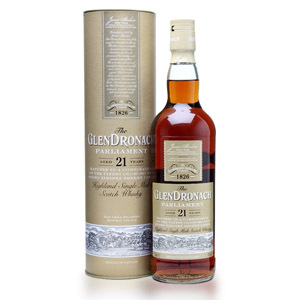 With Water: Sweeter on the nose, more malt sugar, but some oaky bitterness appears on the finish. Overall: Great value! You could do a lot worse with $45. The mature lack of bitterness plus interesting tartness in the nose and on the palate is a winning combination. 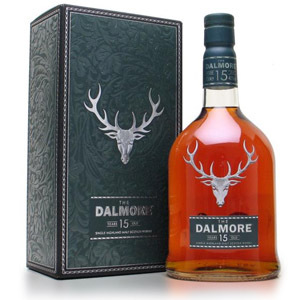 This is the sort of malt that you’ll try as a novelty, and then come back to for its quality. Score another one for the little independent distilleries! Arran distillery was built in 1995 on the Isle of Arran, an island off the western coast of Scotland with a long history of illicit distillation. The distillery uses water collected from the river Easan Biorach, which flows over complex geography: a peat bog, coarse and fine granite, gravel, glacial sands, and clays before arriving at the distillery. Arran’s stills are small and squat, similar to those used by Macallan. Washbacks are Oregon pine. The distillery is now producing small amounts of peated malt in addition to its light and unpeated whisky. One of my favorite everyday whiskies. If you can find their gift pack, it also comes with a couple of pretty solid tasting glasses. Excellent review. Your tasting notes are spot on. This one has good flavor density and complexity for its age. This distillery is showing great potential. Picked this one up last night based on your positive review and because it was on sale! I also fully agree with your tasting notes. It’s sweetness really hit me on the first taste with the flavor complexity emerging after that. Quite a change from the peated ones I’d been enjoying. I think I found a new favorite. I’m a big Speyside fan so I really enjoyed the sweat honey taste and the fruity nose but I wasn’t picking up the spicy finish I thought it finished sweeter more like carmel, I’m an amature though,,,sooooo. But definetly a smooth scotch. Got this as a sample bottle, so clean and crisp with a slight smoke on the palate lighter than the one on highland park and oban but it is there. I also recommend this and will be procuring a bottle asap. 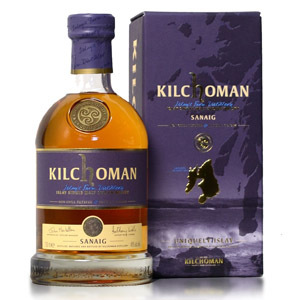 I am trying to find a starter Islay but i dont think i am ready for the bum rush that is laphroaig or lagavulin and advice, while may not agree with all of your american whiskey reviews so far your scotch reviews are spot on keep it up. I found this malt to be very “cereal-ly”, butnin a good way. Reminded me of Wheatabix, and I really like Wheatabix. 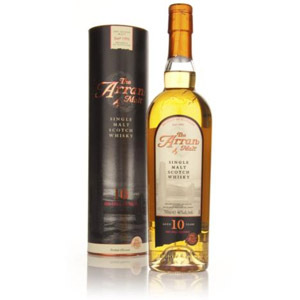 The 14 yr Arran is vastly superior, and I find the 10 yr rather off putting, and it gets me thinking what’s going on at the distillery in which there’s a significant difference in quality…I’m think quality of casks, and their mgt of them. Yes! The 10 is sweet biscuits with fruit on the side. What’s not to like? This is what makes me pay the $ over Beam Inc. and Mr. Daniels! I wish I could get the older Arran offerings here in the Keystone State. The review was really close to my experience too. Really smooth for a ten and I loved the oily mouth feel. 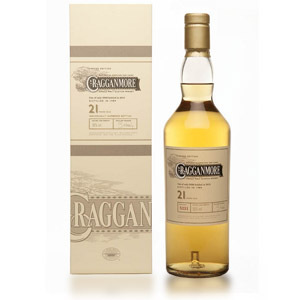 It was a hot night so I put half a cube of ice in my dram and out popped green apples and brown sugar in the nose. I have never been let down by Arran and agree that the 14 is a notch up.